A proposal has been submitted to Westminster City Council for the UK National Holocaust Memorial and underground Learning Centre, to be sited at Victoria Tower Gardens. We need as many people as possible to comment on these proposals: view the documentation online. Victoria Tower Garden, a unique Grade 2 public park in central London, runs immediately along the Thames and provides the setting for the World Heritage Site around Westminster and the Houses of Parliament. The Trust has on numerous occasions raised concerns with the proposers during key stakeholder consultations about the location and the design of the development. Concerns include the likely impacts on listed statues within the park, such as the Grade 1 Rodin Burghers of Calais and the Grade 2* Buxton Memorial Monument marking the abolition of slavery, and the potential risk to historic plane trees which are in a Root Protection Zone. Based on previous information, the Trust considers the proposals to be inappropriate resulting not only in significant heritage impacts but also a loss of public amenity value and enjoyment of this historic green space. There are many documents to read and we will provide further updates as the consultation deadline approaches about what the Trust is doing and how you can help us. See our Record of Events below for more information on what has happened so far. The Trust has now submitted its objection to the UK Holocaust Memorial proposals. You can download our full objection letter including plans and read the conservation and significance statement online. To submit your own objection, please visit the Westminster Council Planning site - you can read the guidelines online. The Trust's planning group has calculated that, while 7.1% of the park will be taken up by the Memorial, entrance pavilion and courtyard, the total amount of grass area that would be lost is 26.9%. This figure does not include any additional areas of grass that might end up fenced off due to safety concerns at a later date. View the plan to see how recreational green space will be affected by the development. 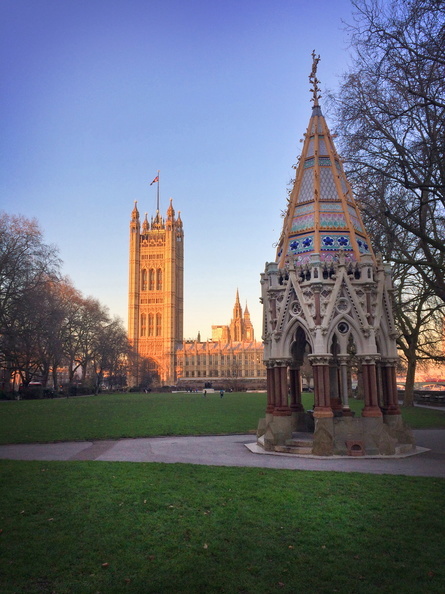 The Save Victoria Tower Gardens campaign team has published guidelines on some of the planning issues you might like to consider if you submit an objection to the application via the Westminster Council Planning site - you can read the guidelines online. Comments don’t have to be long, but they should mention one or more planning-related issues. "To ask Her Majesty's Government what is the estimated cost of (1) building, and (2) running the UK Holocaust Memorial and Learning Centre; and how these costs will be met." "The estimated cost of building the Holocaust Memorial and Learning Centre is £102 million (including VAT). Future running costs are estimated to be around £5 - 6 million per annum. In 2015, the Government committed £50 million to the cost of establishing the Holocaust Memorial and Learning Centre. It is also the intention that further contributions towards the costs will come from a national fundraising effort. Options for providing future financial support are being explored and a sustainable long-term plan will be put in place." The Trust has been working with local groups concerned about the proposals, and they are holding an open meeting on Tuesday 22 January from 6.30 to 9pm in the church at St Matthew’s Westminster, 20 Great Peter Street, London SW1P 2BU. All are welcome. The Trust made contact with the Ministry of Housing Communities and Local Government seeking the results of an Arboricultural Survey which were not disclosed at the time of public consultation, but which would have enabled a better gauge on the full heritage impacts particularly of the Root Protection Area. MHCLG failed to provide the information in a timely fashion in accordance with the Freedom of Information Act, and so the Trust Director has reported the matter to the Information Commissioner's Office.